The BIOS settings are completely default, except from the RAID configuration. The CPU is NOT overclocked, nor ever has been since I bought it. Can somebody tell me what the problem could be? ...which is unfortunately not very helpful. It’s probably some undocumented internal CPU error. Your best bet would be to go for a warranty exchange (of your CPU), if possible. Not the answer you're looking for? Browse other questions tagged cpu kernel-panic machine-check-exception or ask your own question. Machine check exception - how to read and understand it? Where and How should a Kernel Panic be reported? Lenovo T430 temperature issues? Fan control for Linux? 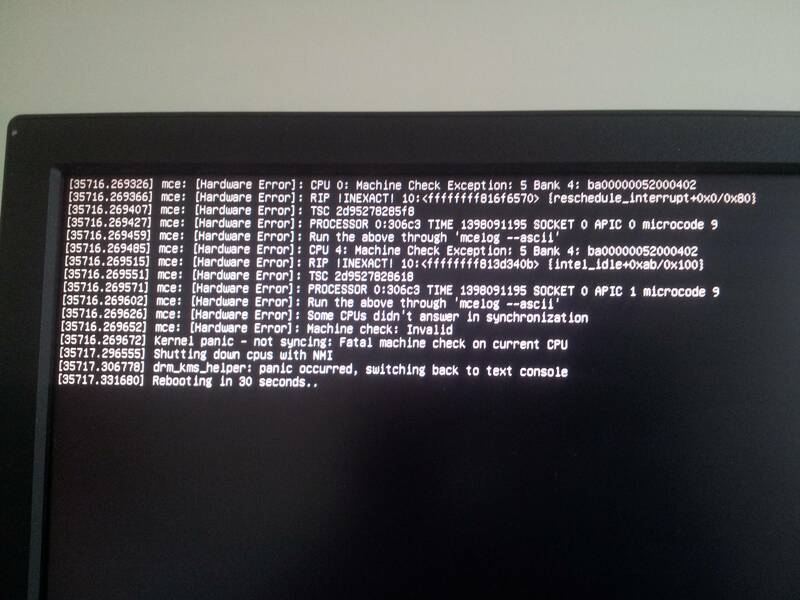 Why am I getting a machine check exception when trying do first install of Windows 10 on a new gaming rig?